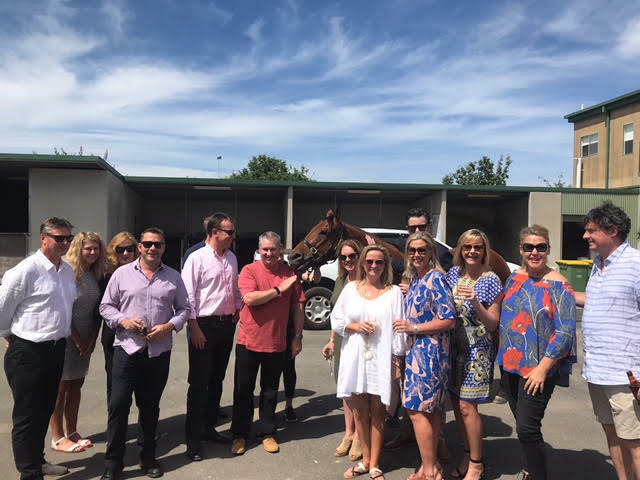 It was a day of bubbles and horses for syndicate members as they watched the races from a different perspective on Saturday. Our gathering was at the private entertaining area at the Aaron Purcell stables at Caulfield. With champagne in hand, they saw at close quarters the 2000m starts and the fields winding down after passing the winning post. They even exchanged greetings with jockeys returning to scale. The five horses in which members have shares also were paraded, including Combative, a winner at her last start who is due to face the starter again at Moonee Valley on the 23rd. Aaron is training at the Caulfield facility while Ciaron Maher is travelling the world inspecting racing and breeding enterprises.